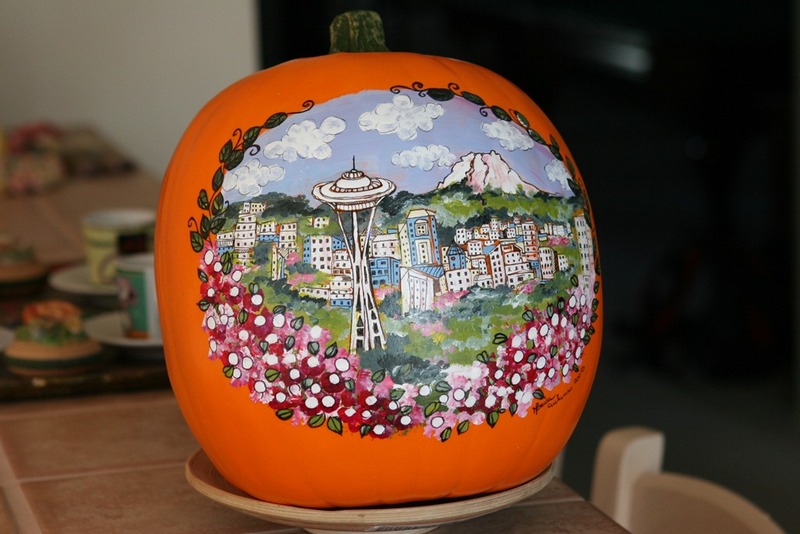 When I first moved to the United States, twelve years ago—can’t believe it has been so long already—I was exposed to the American art of pumpkin carving and decorating. 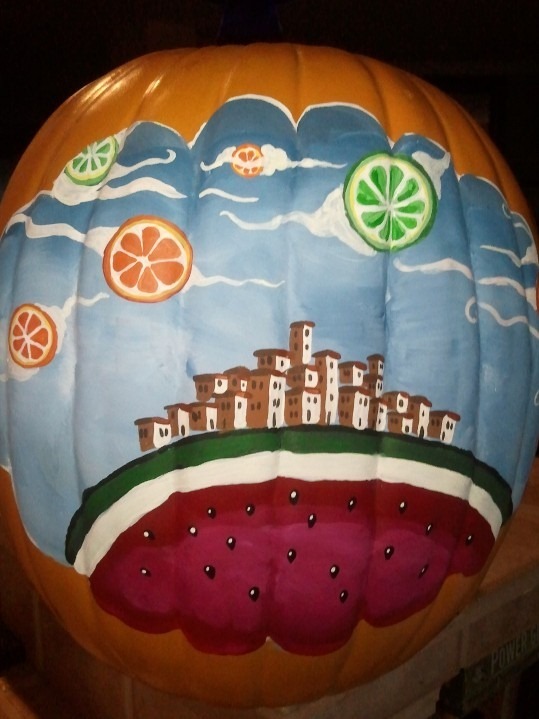 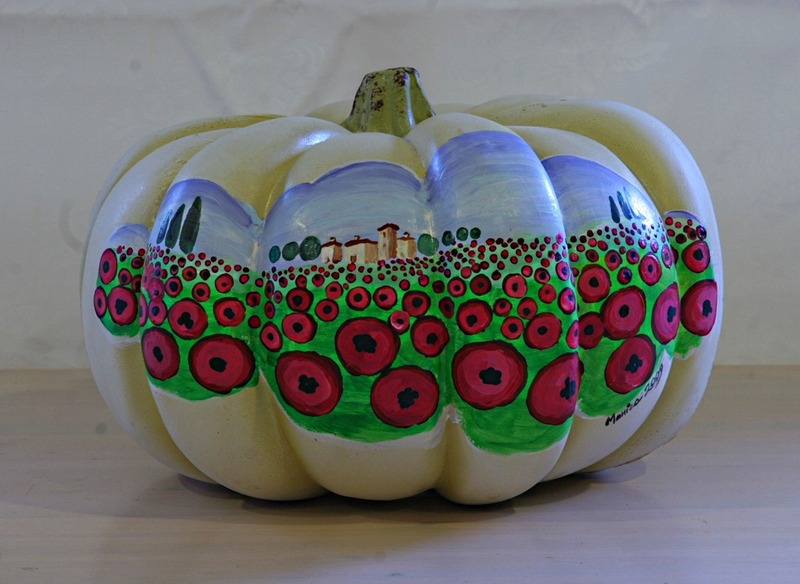 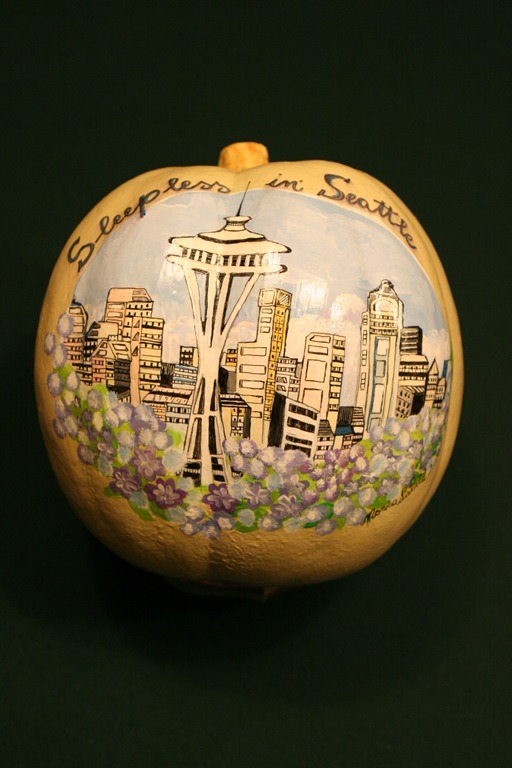 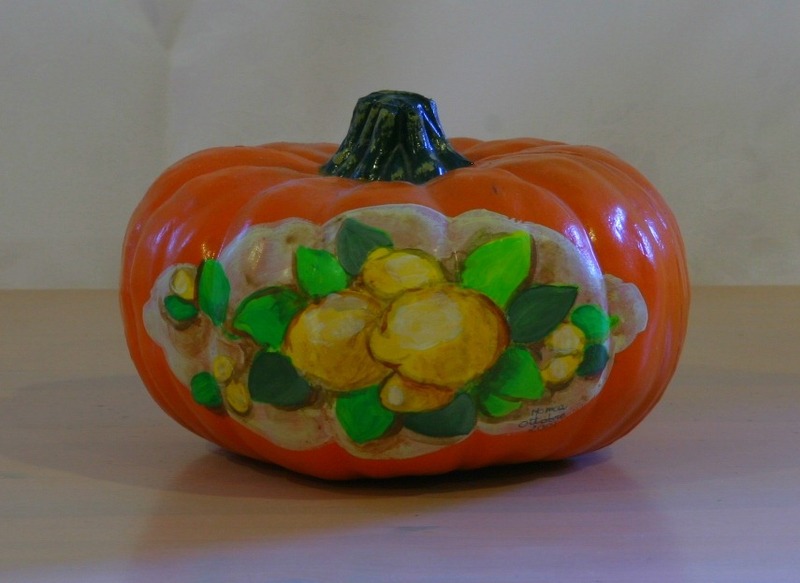 Once I painted my first pumpkin, I realized I didn’t want for it to go to waste and be forgotten. 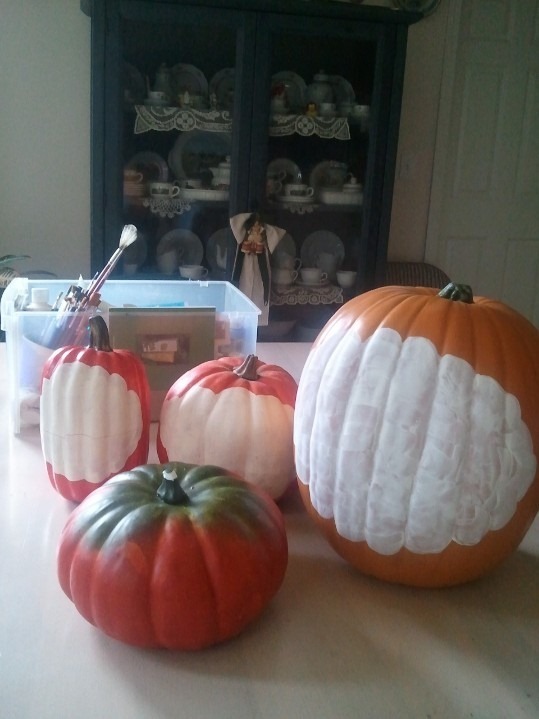 So I started buying foam pumpkins to paint them with acrylics. 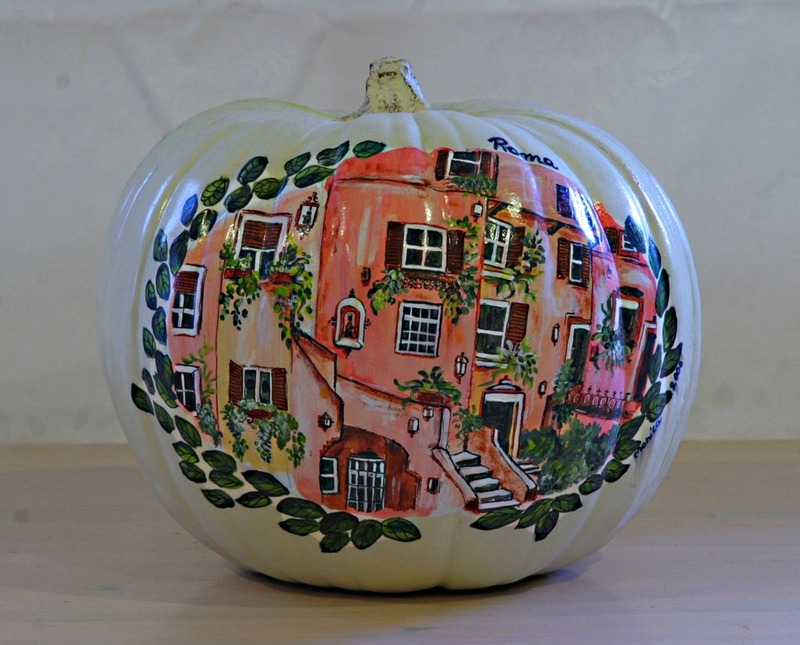 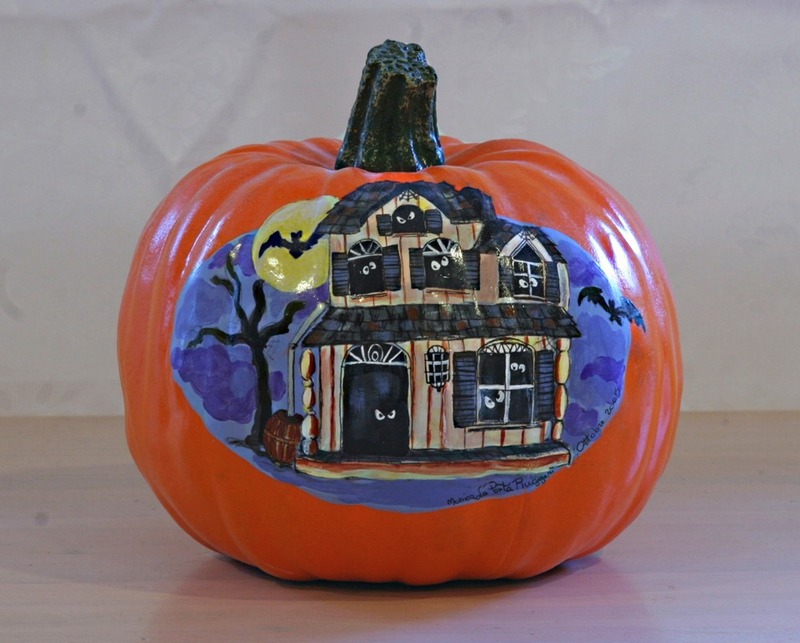 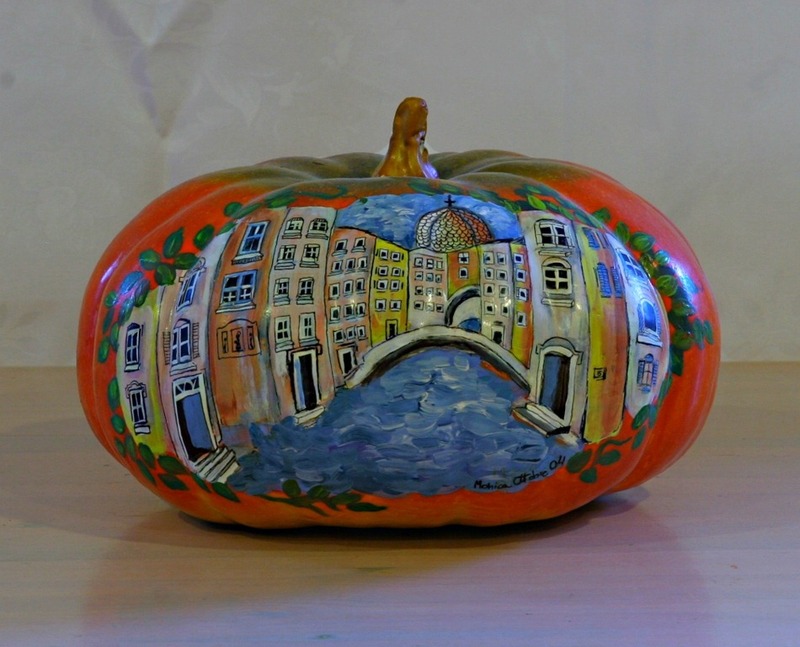 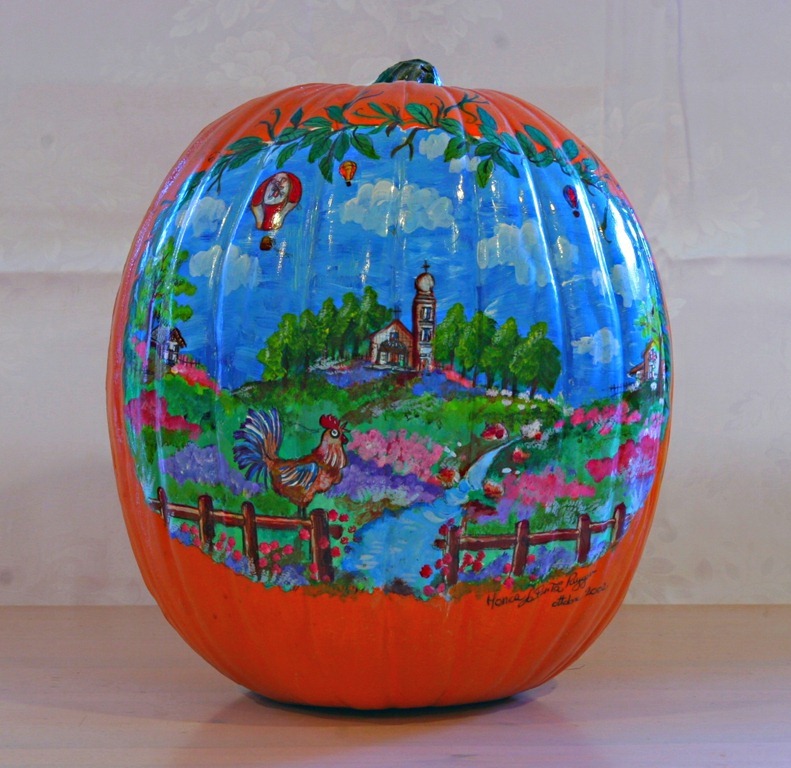 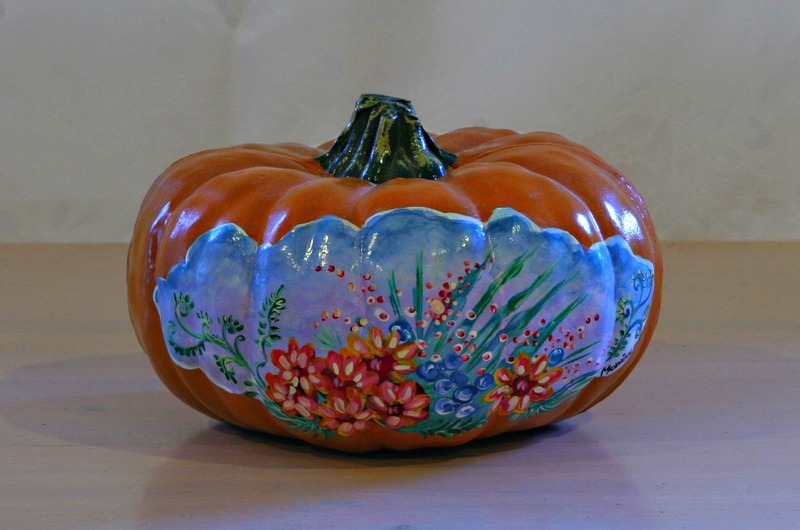 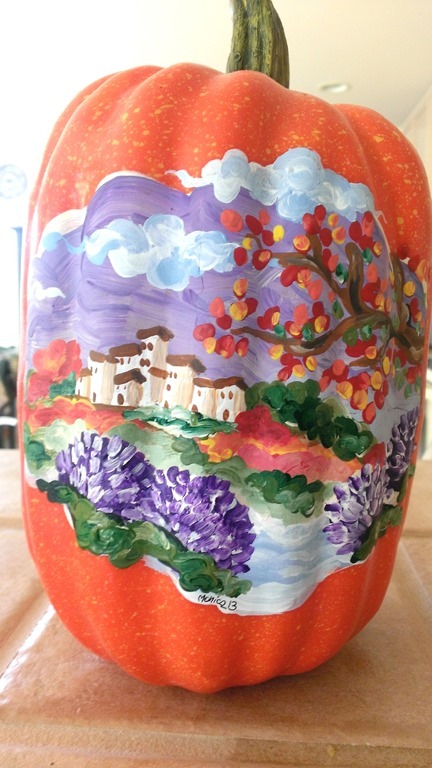 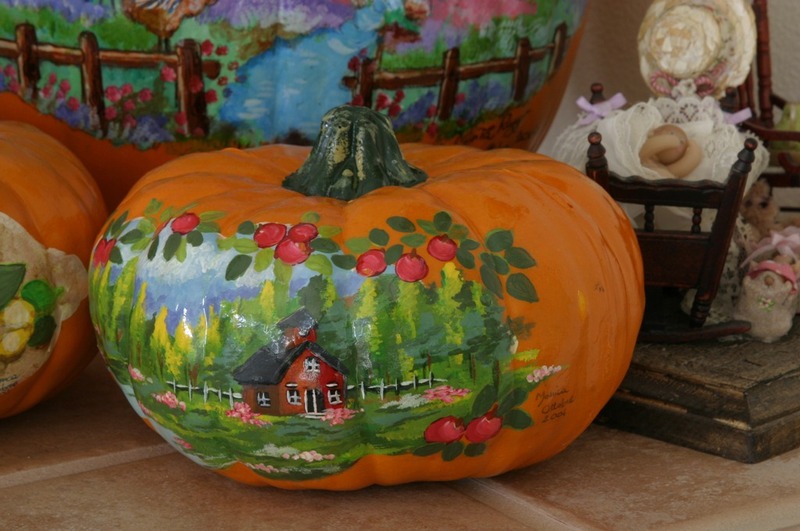 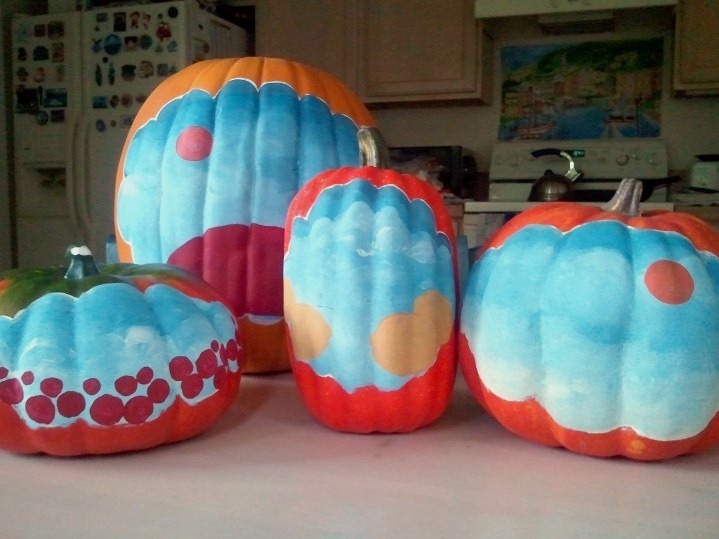 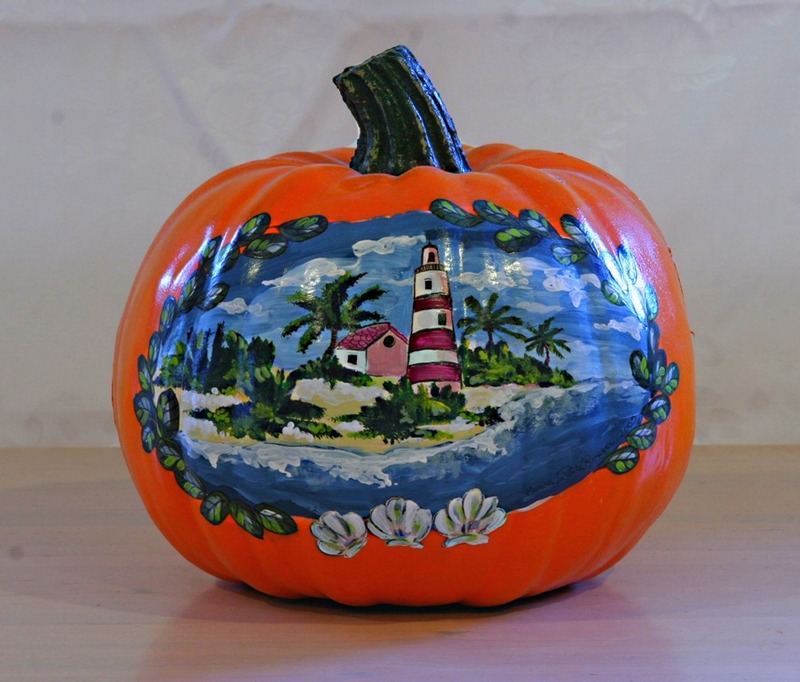 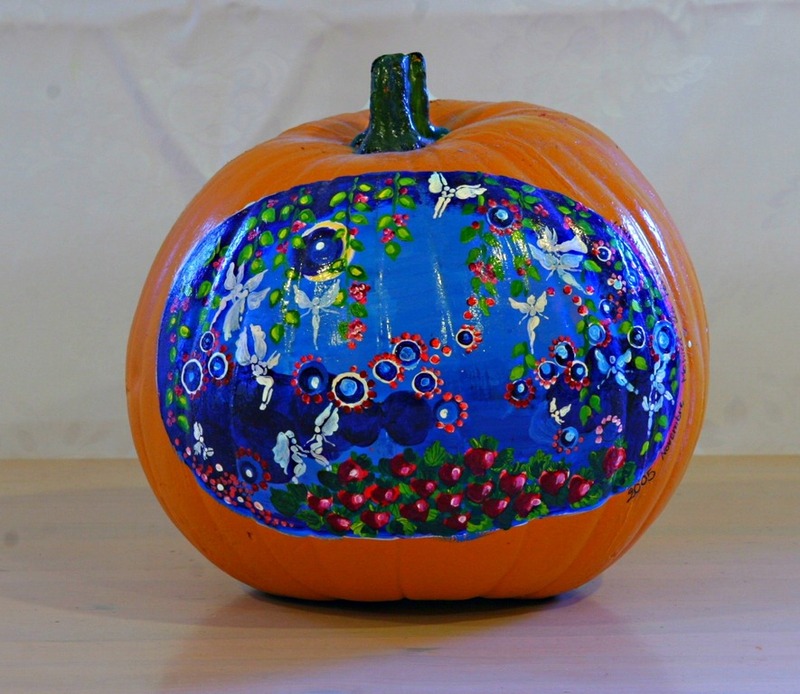 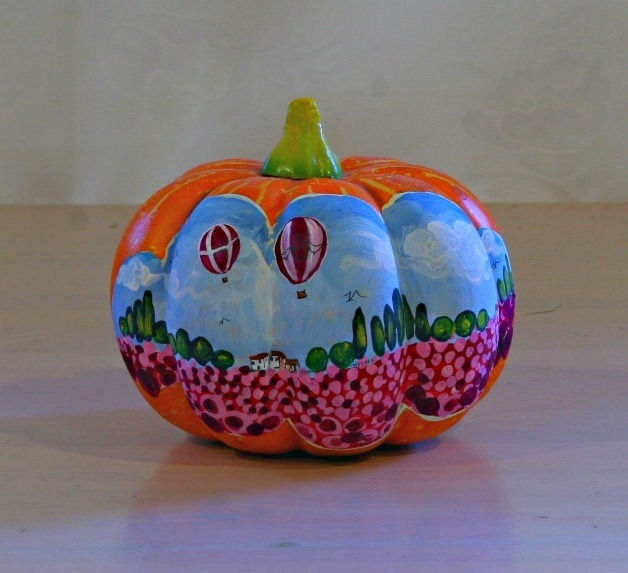 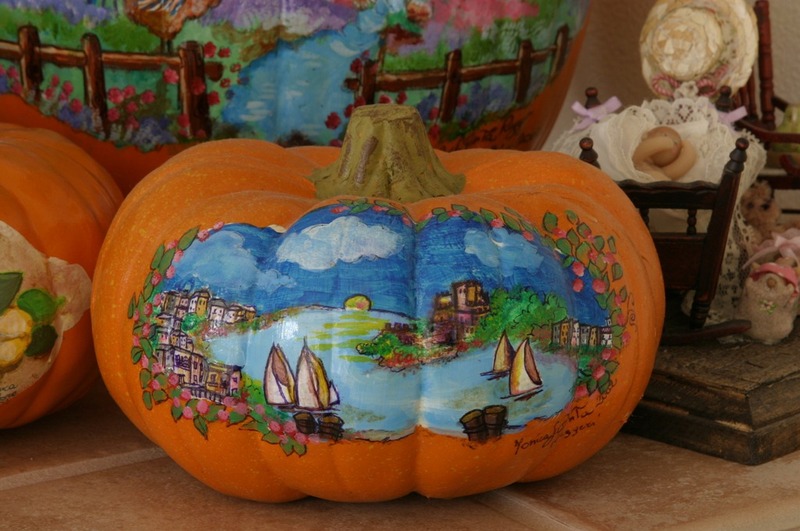 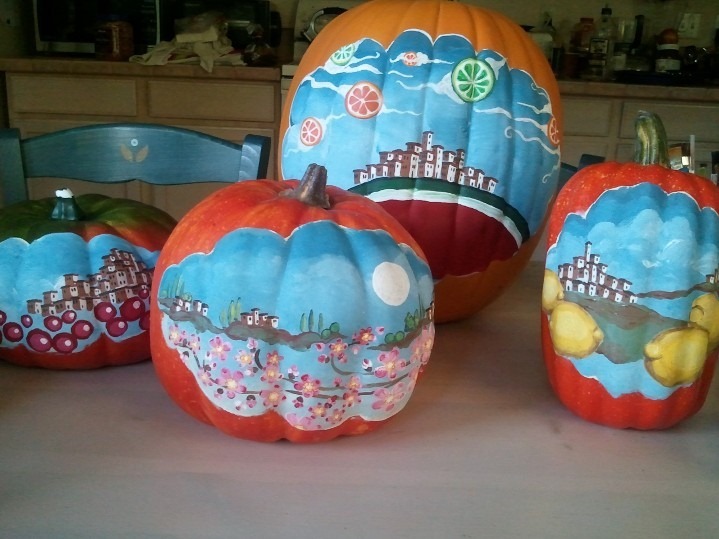 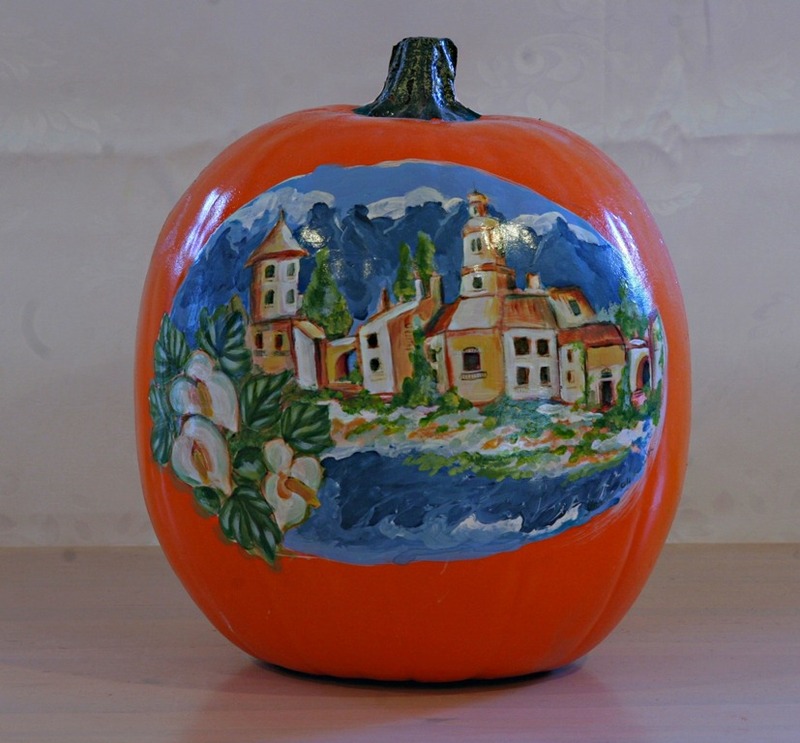 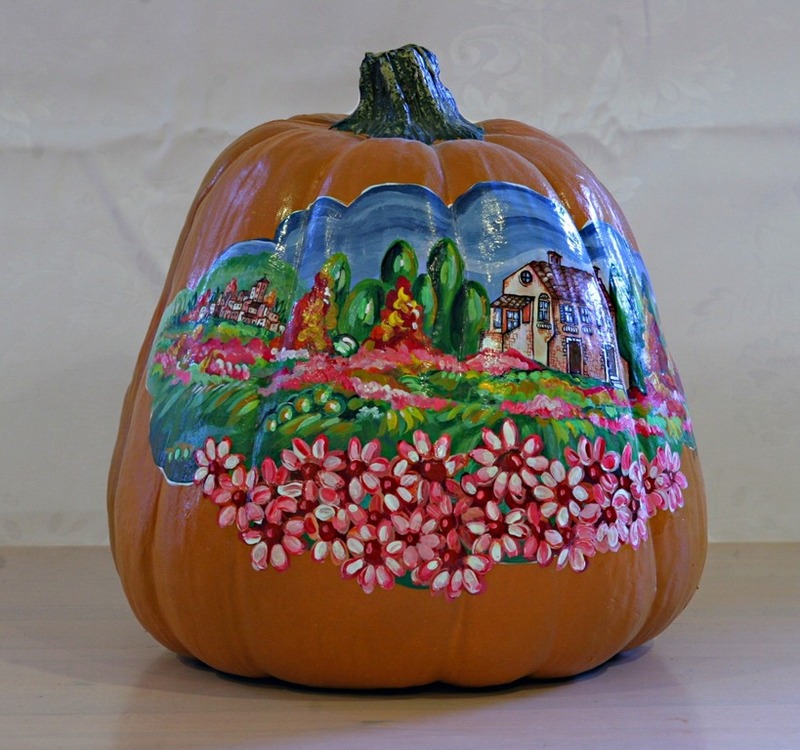 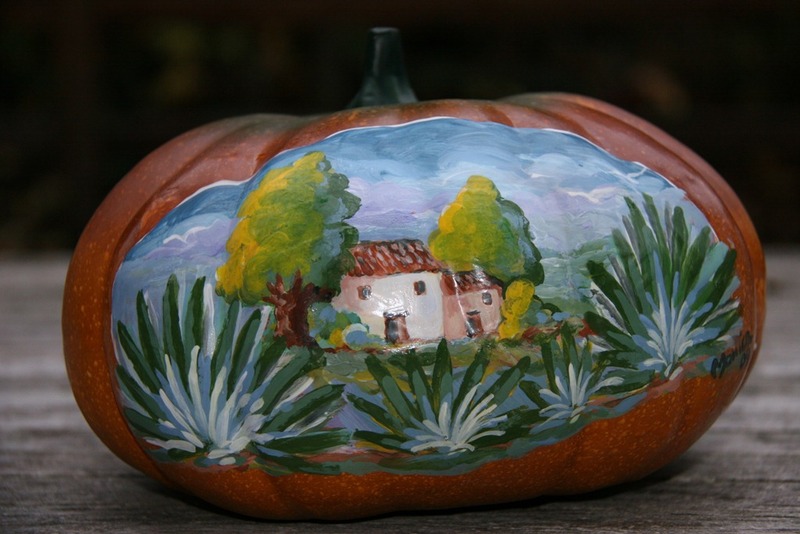 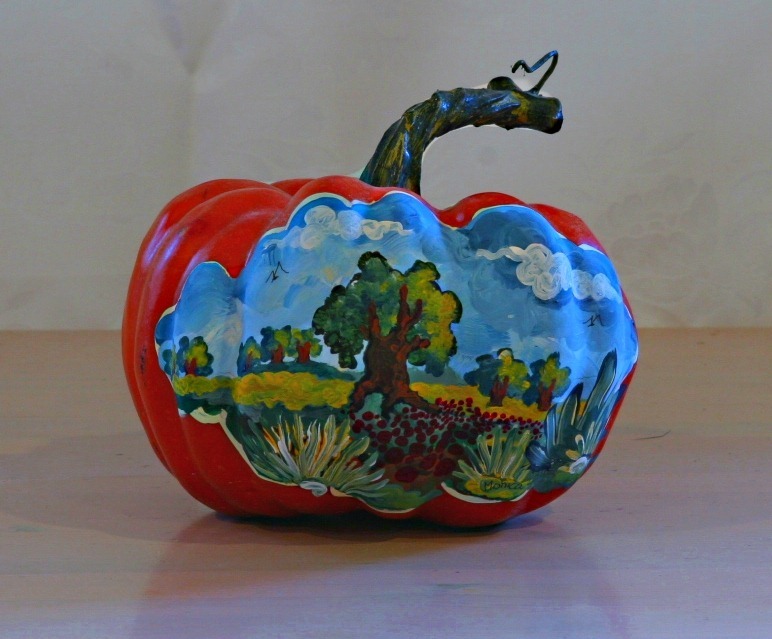 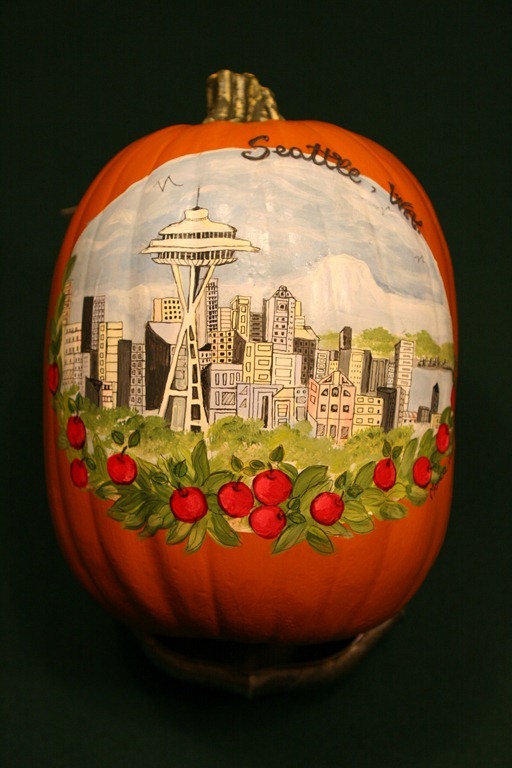 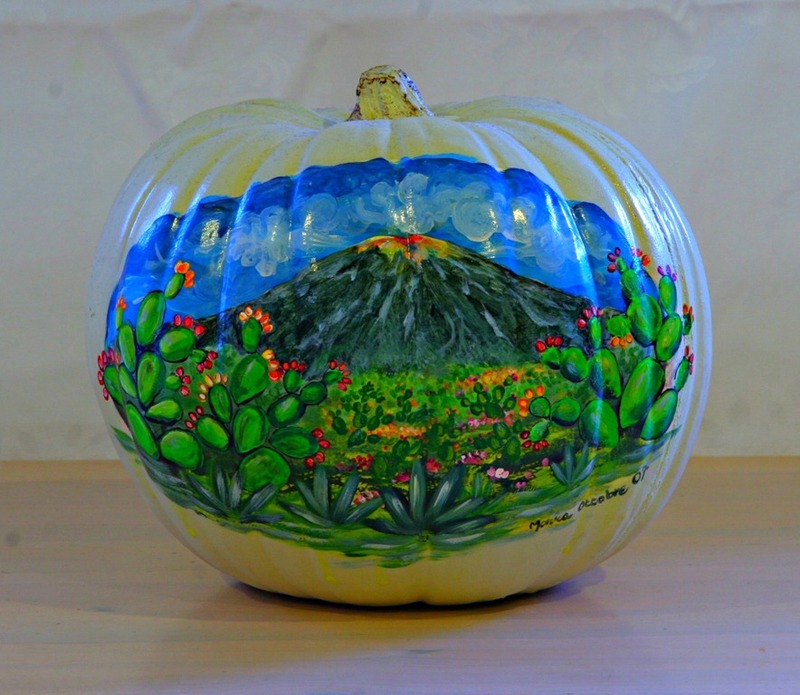 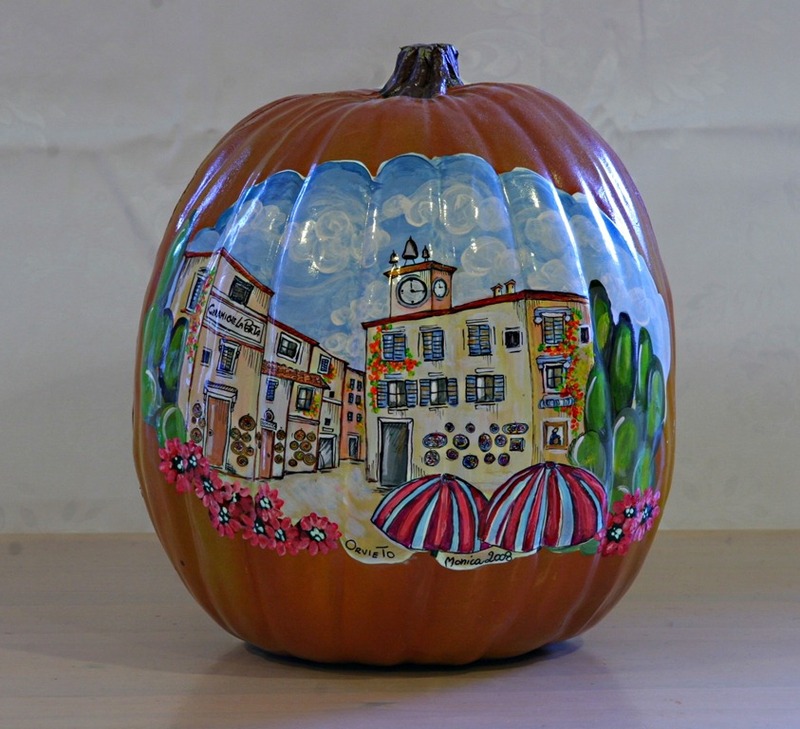 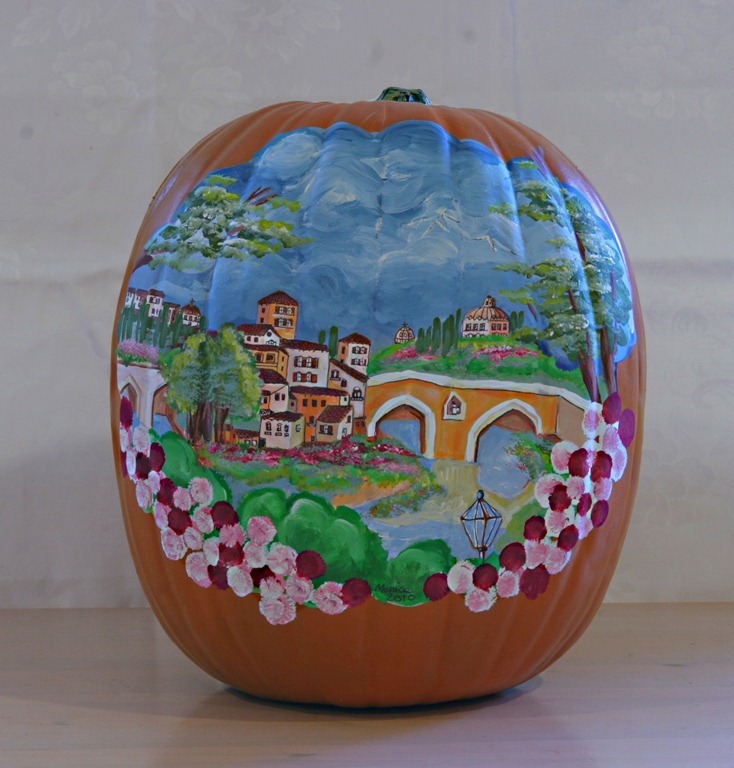 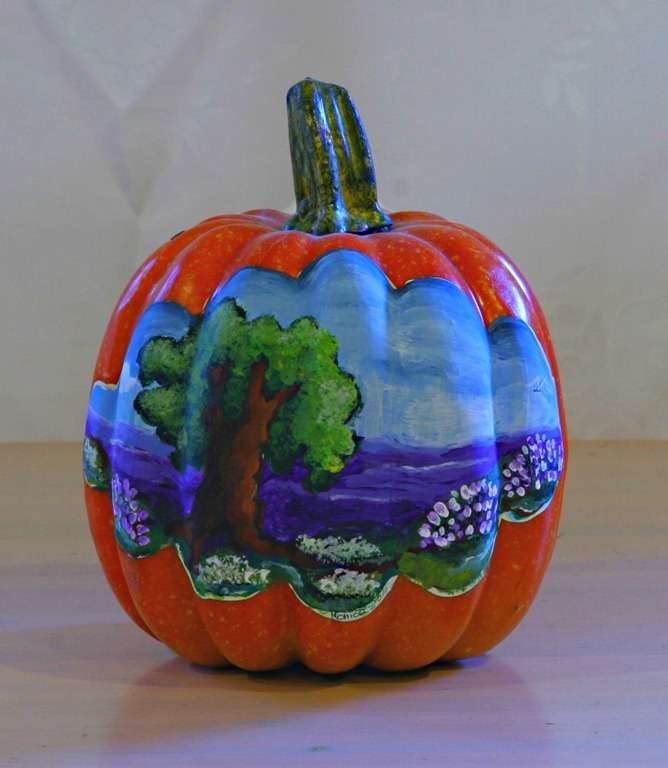 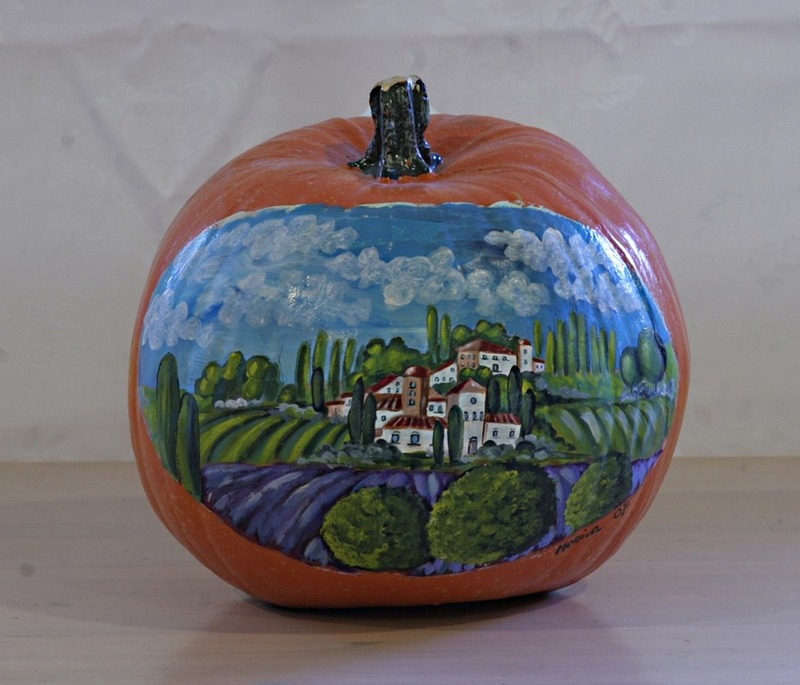 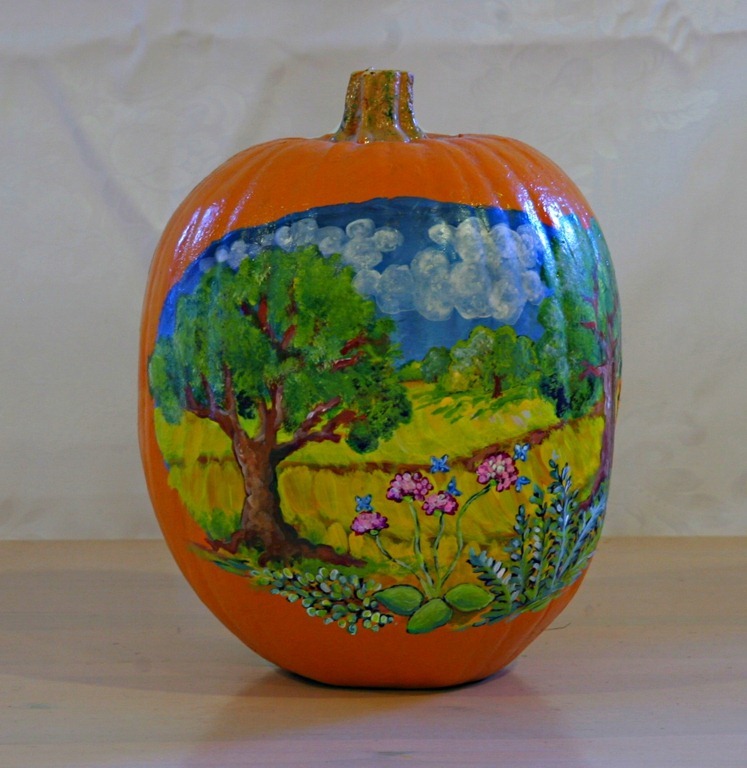 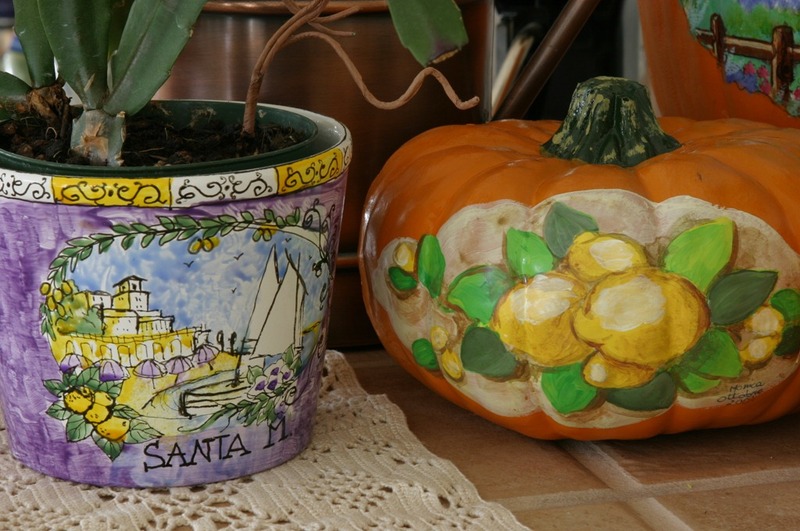 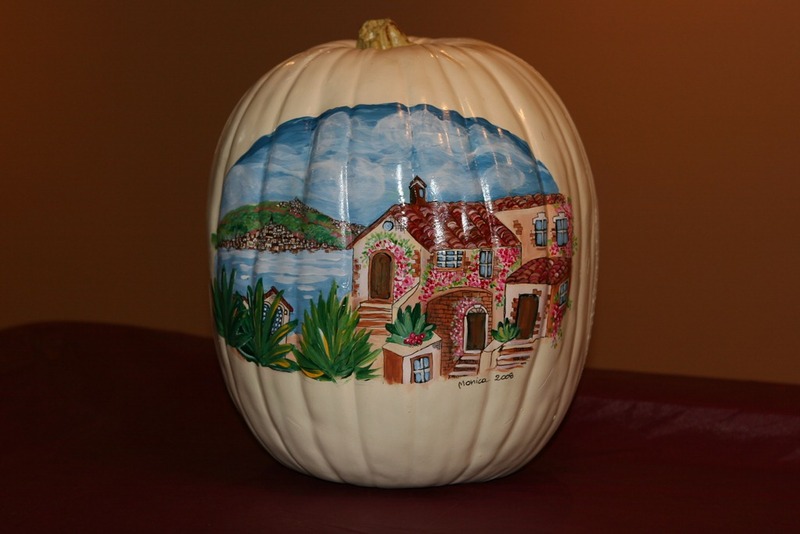 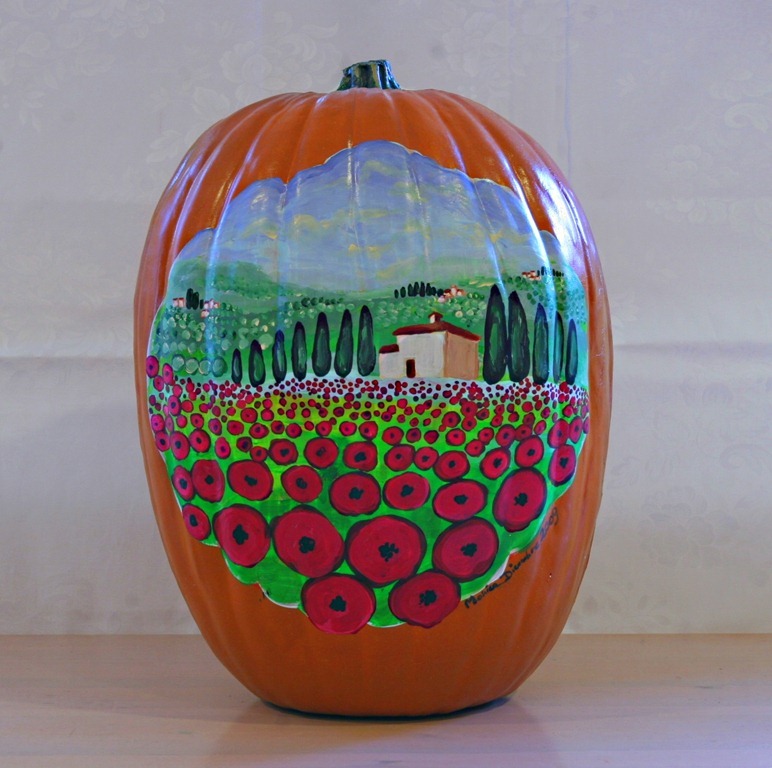 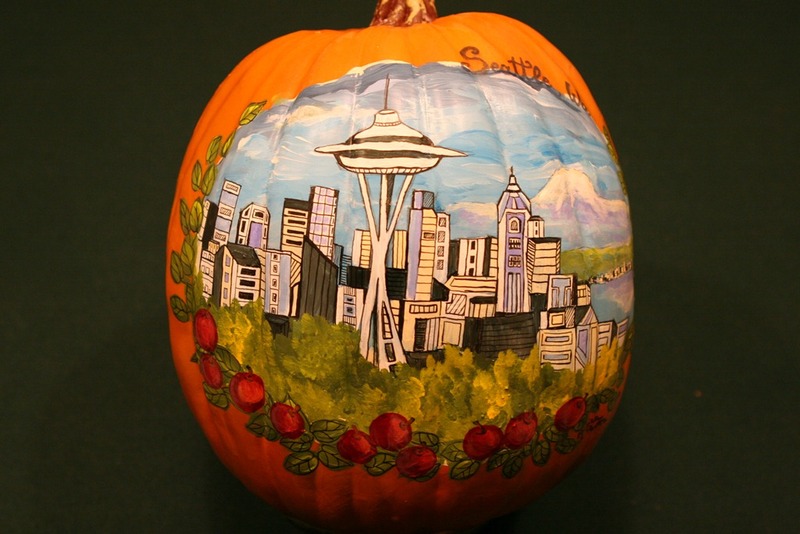 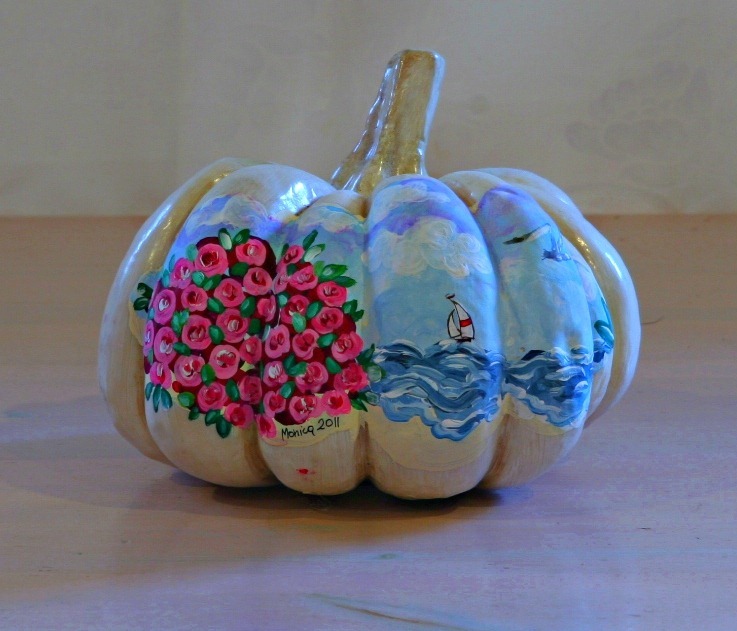 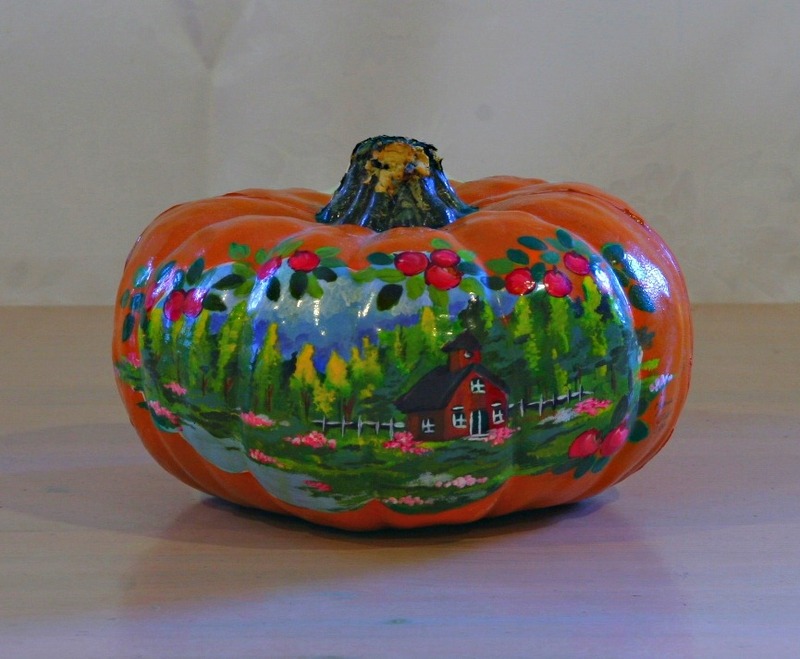 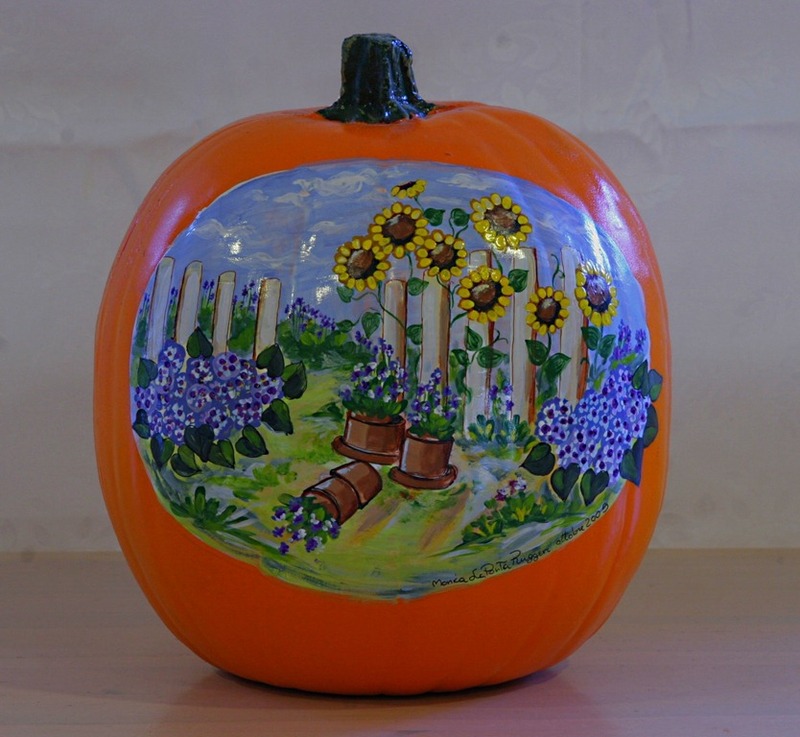 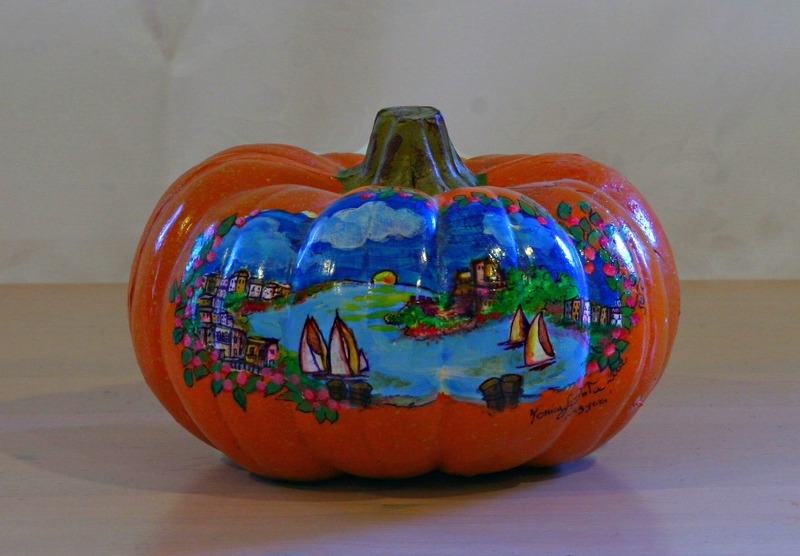 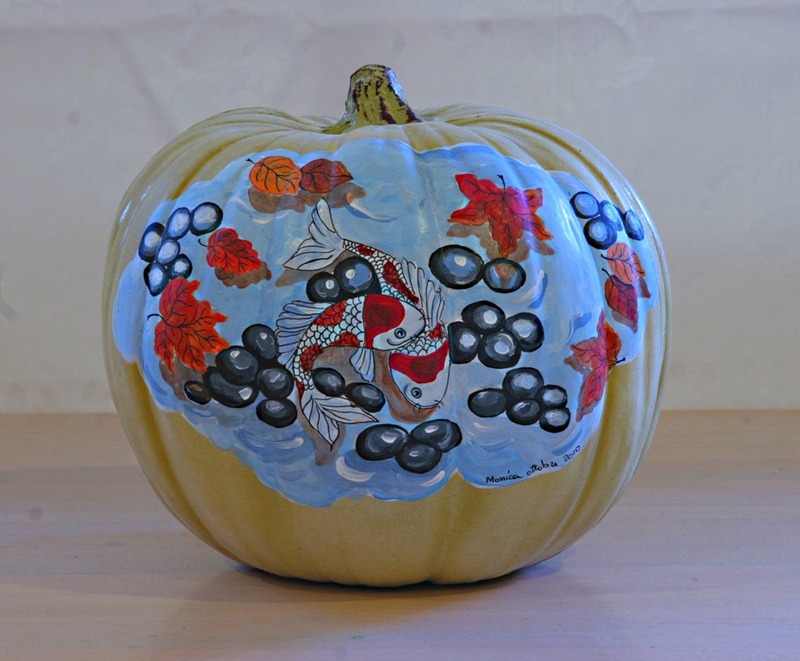 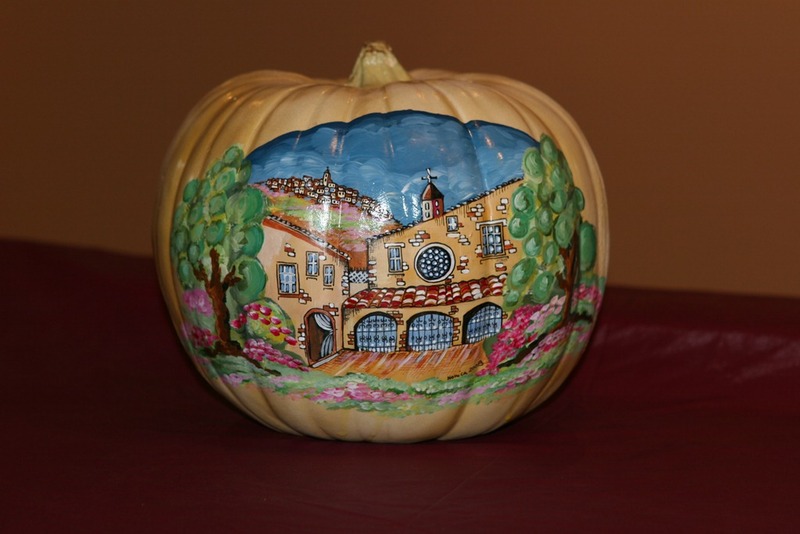 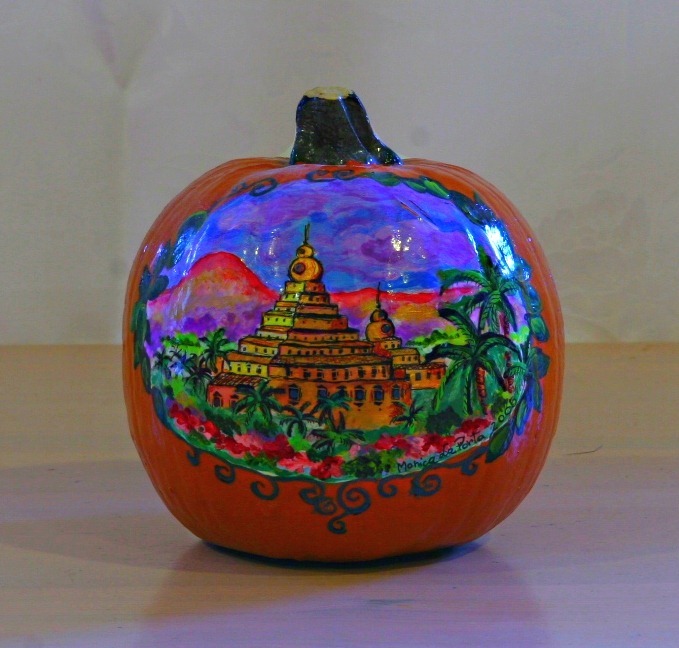 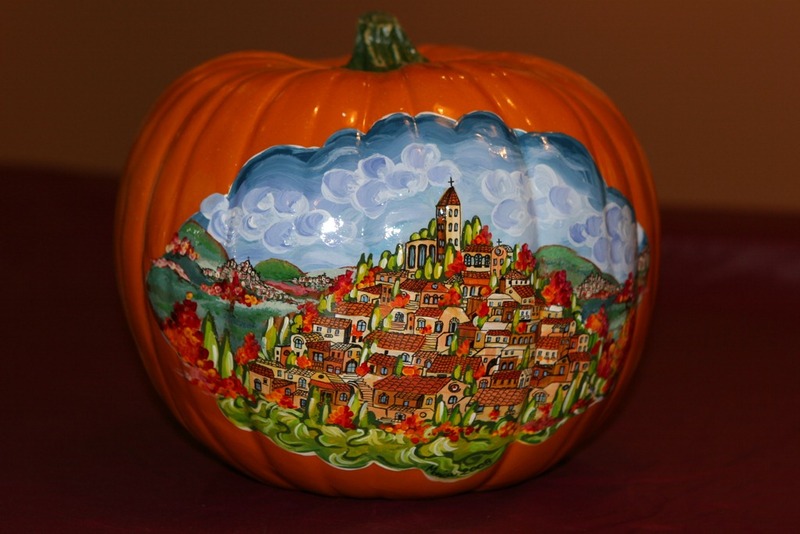 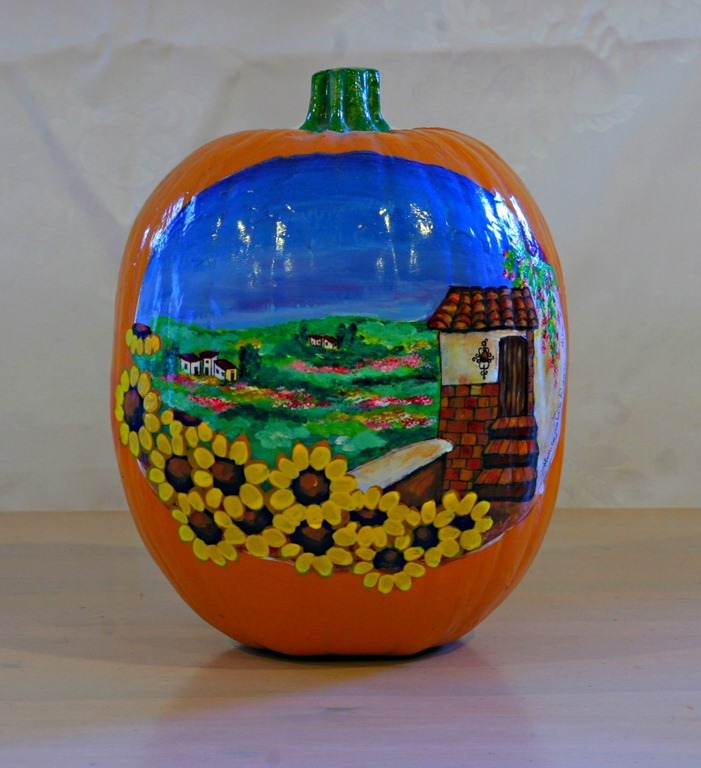 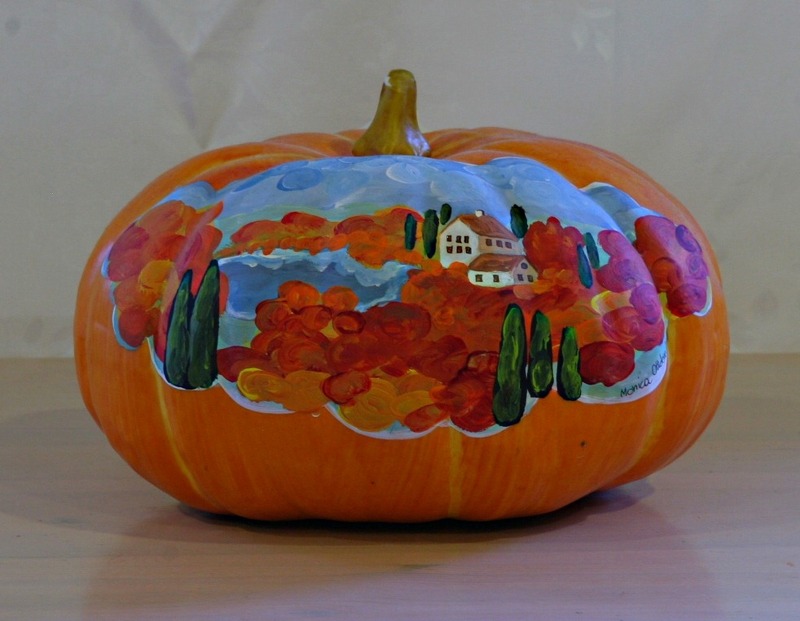 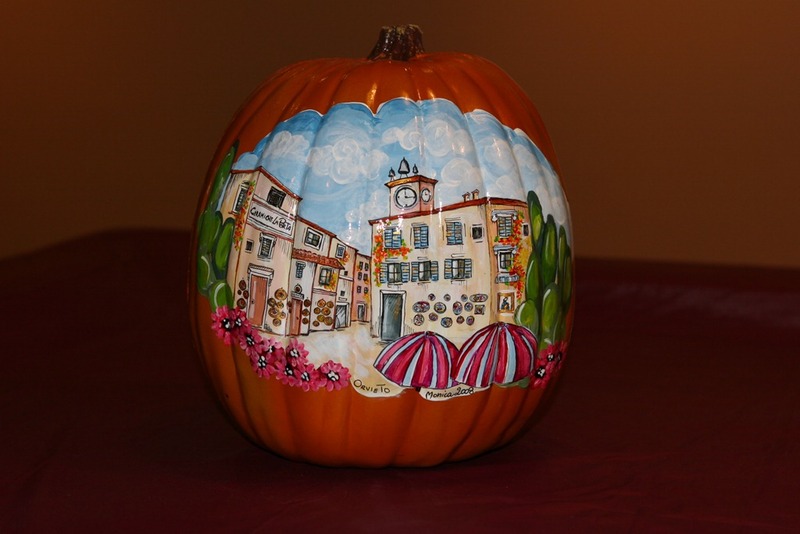 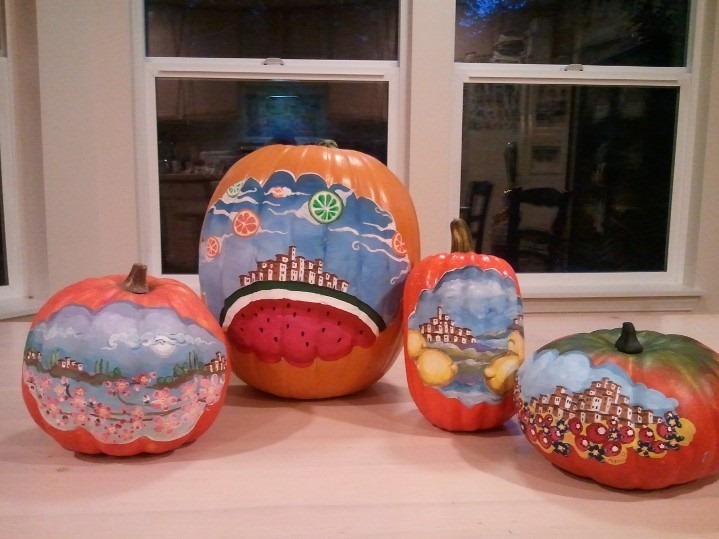 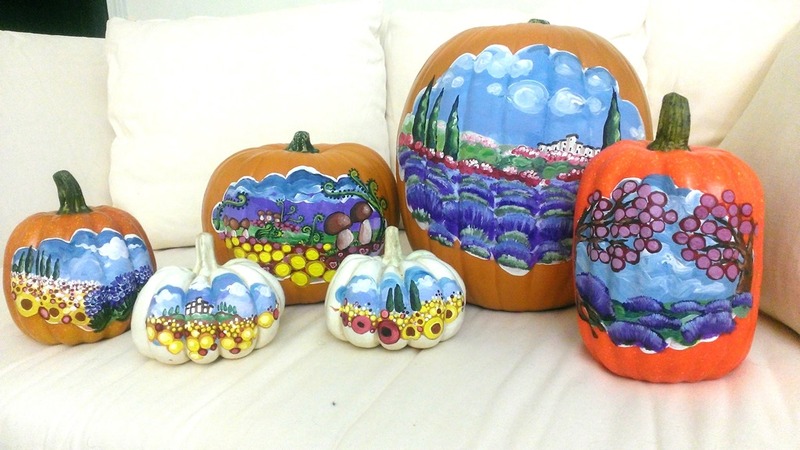 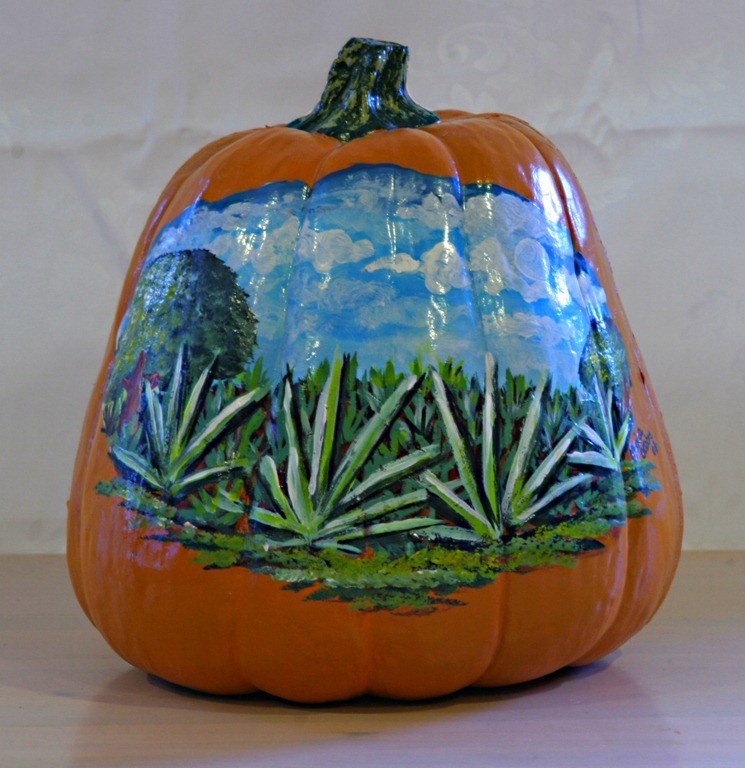 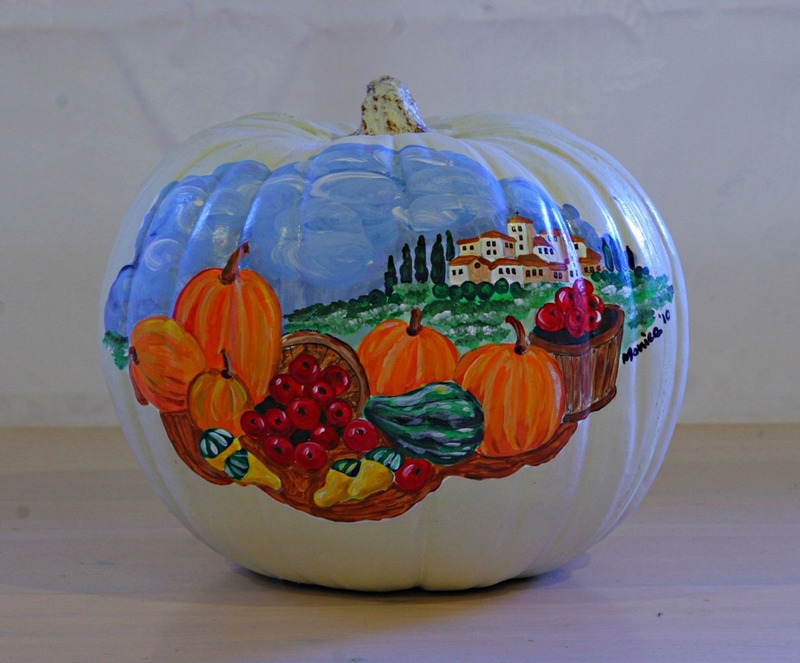 Since then, every fall I paint at least one pumpkin—usually around three or four. 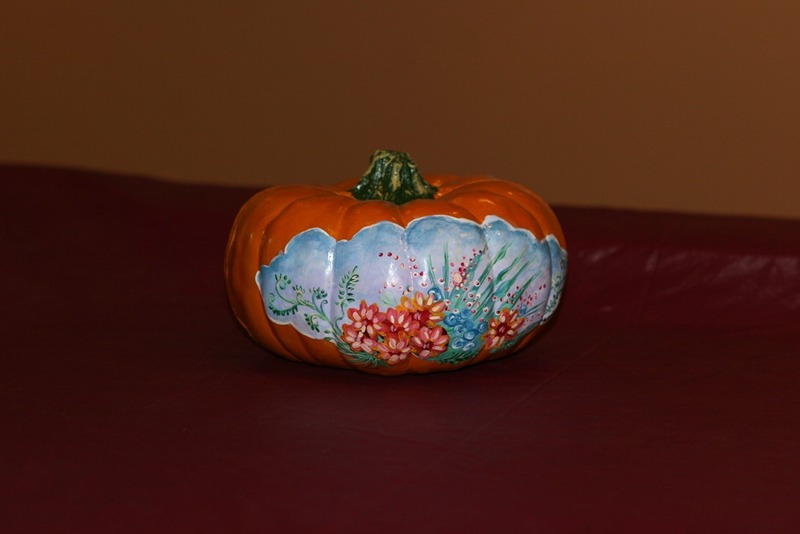 Now, I have quiet a collection lying around the house all year long. 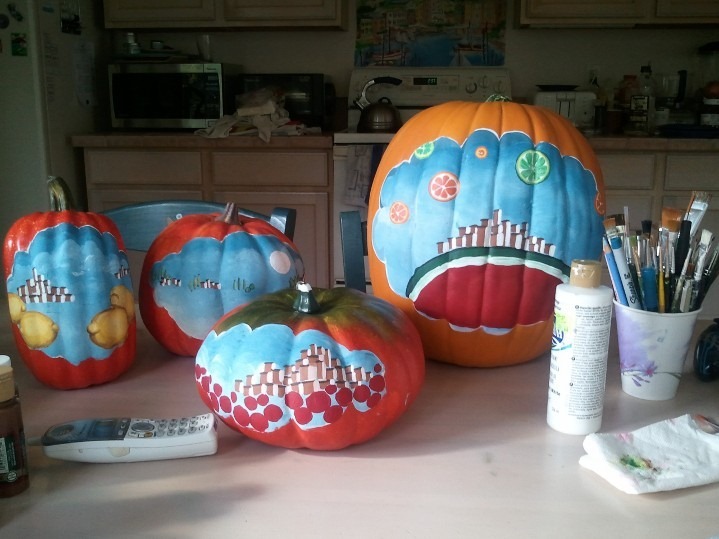 Here are a few pictures of some of my special pumpkins.